But it is living on borrowed time. Last week, details leaked regarding the initial rollout plan for the all-new 2019 Jeep Wrangler, codenamed JL and JLU. 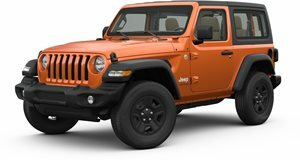 In that document, it was also revealed that the existing Wrangler, the JK, would continue on through the 2018 model year. And now Jeep has made this official. 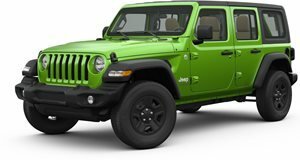 FCA has announced that all 2018 Jeep Wranglers will be called the "Wrangler JK," made all the more clear with a JK decal on the driver’s side front quarter panel. In addition, the 2018 Wrangler will see three new editions join the lineup, the JK Golden Eagle, Freedom, and Altitude. The Golden Eagle comes with a premium tan soft top, available tan half doors, unique Golden Eagle center and side hood decals, body color grille and fender flares, steel front and rear bumpers with bronze tow hooks, and heavy duty rock rails, among other off-road items. The Freedom Edition is a military-themed package, featuring Oscar Mike fender badges and decals on the hood and fenders, Oscar Mike logo embroidered in the seat backs, and Granite-Crystal-painted 17-inch alloy wheels. Lastly, the Altitude, based on the Sahara model, comes with 18-inch wheels, body color grill, standard body color hard top, power bulge hood, black tail lamp guards, standard black leather seats, and Liquid Titanium finish vent rings, among other items. Pricing wasn’t announced, but it should be roughly the same as the 2017s. In the meantime, Jeep is gearing up to reveal the new Wrangler, which we expect will happen at the LA Auto Show in late November.